It was not the peacock’s finest hour. Or even their finest 34 seconds. 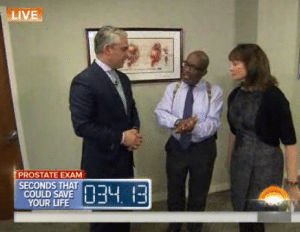 34 seconds was the amount of time it took for the anchors to disappear behind closed doors to get their prostates probed – something NBC promoted by superimposing a clock on the screen. Matt Lauer featured his own urologist, Dr. David Samadi. 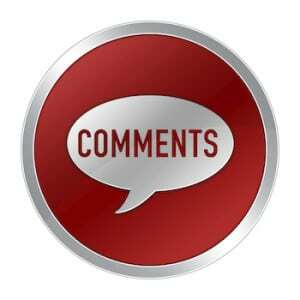 That’s a conflict of interest – for both Lauer and Samadi. Harms of Detection and Early Treatment/Harms Related to Screening and Diagnostic Procedures – Convincing evidence demonstrates that the PSA test often produces false-positive results (approximately 80% of positive PSA test results are false-positive when cutoffs between 2.5 and 4.0 ?g/L are used). 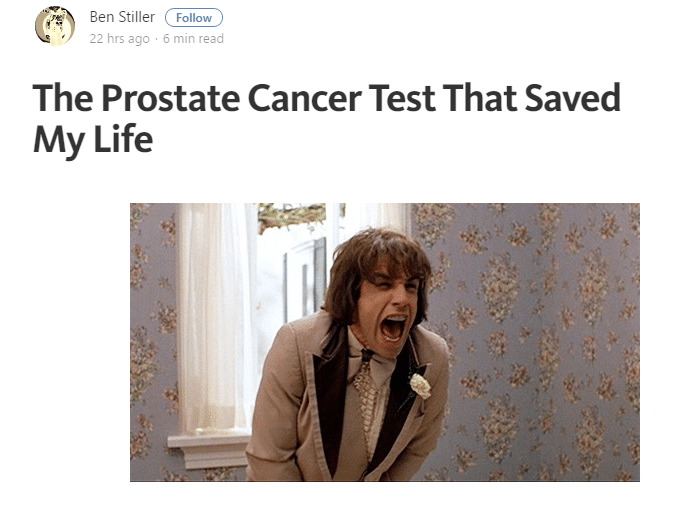 There is adequate evidence that false-positive PSA test results are associated with negative psychological effects, including persistent worry about prostate cancer. Men who have a false-positive test result are more likely to have additional testing, including 1 or more biopsies, in the following year than those who have a negative test result. Over 10 years, approximately 15% to 20% of men will have a PSA test result that triggers a biopsy, depending on the PSA threshold and testing interval used. New evidence from a randomized trial of treatment of screen-detected cancer indicates that roughly one third of men who have prostate biopsy experience pain, fever, bleeding, infection, transient urinary difficulties, or other issues requiring clinician follow-up that the men consider a “moderate or major problem”; approximately 1% require hospitalization/The USPSTF considered the magnitude of these harms associated with screening and diagnostic procedures to be at least small.Harms Related to Treatment of Screen-Detected CancerAdequate evidence shows that nearly 90% of men with PSA-detected prostate cancer in the United States have early treatment with surgery, radiation, or androgen deprivation therapy. Adequate evidence shows that up to 5 in 1000 men will die within 1 month of prostate cancer surgery and between 10 and 70 men will have serious complications but survive. Radiotherapy and surgery result in long-term adverse effects, including urinary incontinence and erectile dysfunction in at least 200 to 300 of 1000 men treated with these therapies. Radiotherapy is also associated with bowel dysfunction.Some clinicians have used androgen deprivation therapy as primary therapy for early-stage prostate cancer, particularly in older men, although this is not a U.S. Food and Drug Administration (FDA)–approved indication and it has not been shown to improve survival in localized prostate cancer. Adequate evidence shows that androgen deprivation therapy for localized prostate cancer is associated with erectile dysfunction (in approximately 400 of 1000 men treated), as well as gynecomastia and hot flashes.There is convincing evidence that PSA-based screening leads to substantial overdiagnosis of prostate tumors. The amount of overdiagnosis of prostate cancer is of important concern because a man with cancer that would remain asymptomatic for the remainder of his life cannot benefit from screening or treatment. There is a high propensity for physicians and patients to elect to treat most cases of screen-detected cancer, given our current inability to distinguish tumors that will remain indolent from those destined to be lethal. Thus, many men are being subjected to the harms of treatment of prostate cancer that will never become symptomatic. Even for men whose screen-detected cancer would otherwise have been later identified without screening, most experience the same outcome and are, therefore, subjected to the harms of treatment for a much longer period of time. 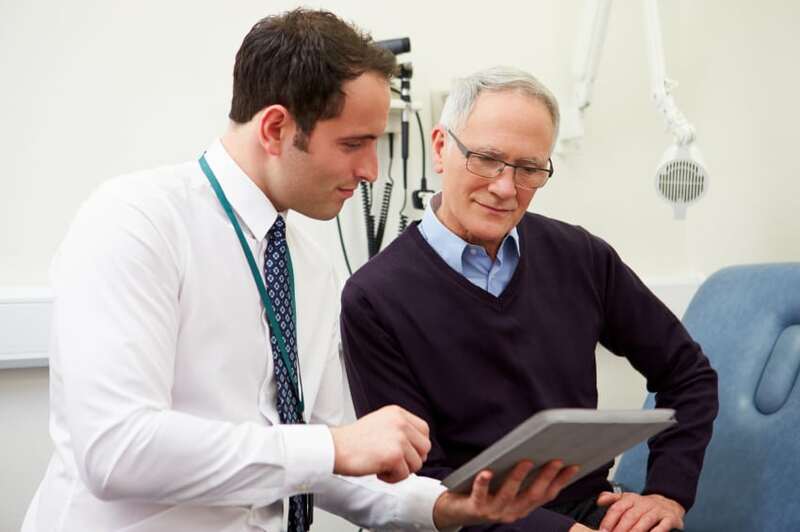 There is convincing evidence that PSA-based screening for prostate cancer results in considerable overtreatment and its associated harms.The USPSTF considered the magnitude of these treatment-associated harms to be at least moderate. Samadi said: “We’re going to save a lot of men” by promoting the Lauer and Roker digital rectal examinations (DRE). Really? NBC News Chief Medical Editor Dr. Nancy Snyderman was present for all of this – including the giggling locker room humor between Dr. Samadi and his celebrity patients. 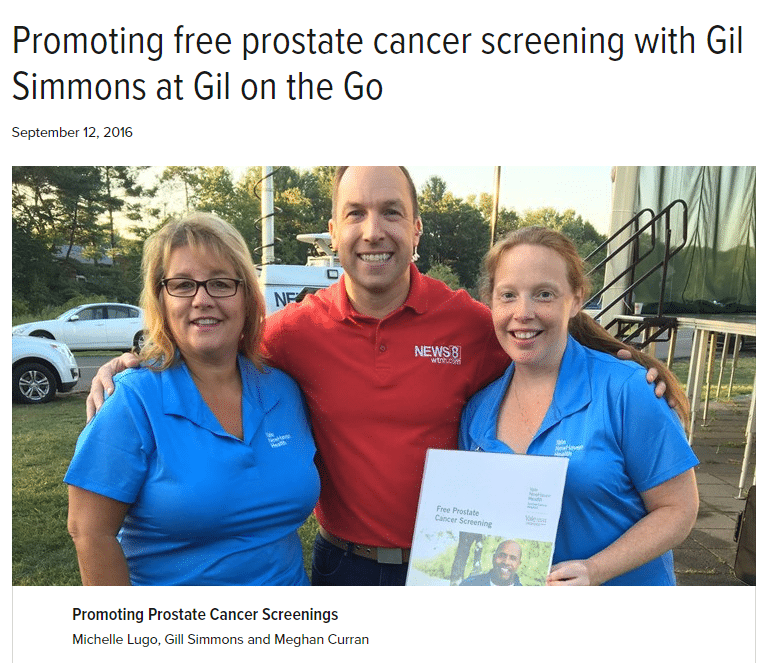 But she did nothing to correct the record or to inject accurate, balanced and complete information in this prostate screening infomercial, as Dr. Hoffman called it. We have moved from Pinktober to Movember but we really haven’t moved forward much at all. Please note: This is not an anti-screening message. It is a call for an accurate, balanced and complete discussion of the tradeoff between potential benefits and potential harms in mass screening promotions. NBC had plenty of airtime to do this. They made a conscious choice not to. It was a disservice. That is our focus.